Virtual and augmented reality is an ever-growing medium being used by businesses to improve processes and bolster employee education through training programs. My company has worked with organizations to incorporate voiceovers and functionality into the virtual environment to make learning easier for employees. 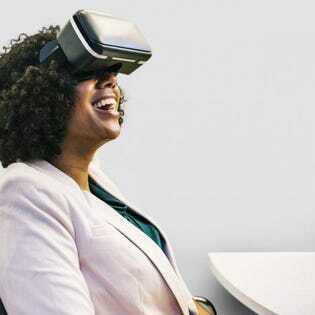 In this article, I’m going to share insights that business owners can adopt by looking at unique virtual-reality training scenarios I have observed in the virtual reality (VR) space and how they impact organizations in meaningful ways. Consider this real-world example: Virtual training can eliminate risk in nuclear power plant operation. You would much rather have frontline employees make mistakes in a virtual training environment versus that of the real world where a mistake can be both costly and dangerous. When businesses look to adopt immersive technology for internal training processes and procedures, they should first consider whether the training task will be easily replicated in a virtual environment. The virtual world should not only be easily replicated but should also offer ease of use for adoption with current VR headset controllers and button configurations. Hand gestures and motion control can be an issue if complex actions need to be taken in the corresponding real-world scenario. The U.S. Army wanted to introduce a risk-free way to train troops on various elements of combat in the field and found that virtual and augmented reality offered a way to do so without causing any harm to soldiers. Microsoft announced a $480 million initiative to begin training U.S. military troops with augmented reality training scenarios to mimic complex and dangerous real-world situations. Walmart is set to provide more than 100,000 HoloLens headsets in order to develop a unique integrated visual augmentation system, or IVAS. This is a monumental step forward for training programs with augmented reality as it pushes widespread adoption and will allow a huge audience in the U.S. Army to try out the hardware. Another massive training initiative that was launched for virtual reality was undertaken by Walmart that is set to change the way employees train for their specific roles within a company. This is groundbreaking for employee training as it will showcase a unique way to roll out front-line employees using virtual reality and prepare them for high-stress scenarios like Black Friday. Partnering with Oculus and Strivr, Walmart purchased 17,000 Oculus Go headsets to roll out a nationwide employee training program that is as unique as it is impressive. This is ushering in a new era of employee training that will allow the user to enter a virtual environment and learn various internal Walmart processes in an immersive and experiential way. The training applications being used by Walmart have widespread appeal and I can easily see this being adopted by other retail giants who are looking at technology to be a meaningful tool for onboarding new employees in an immersive way. Another unique use case comes from General Electric Healthcare, as it implemented virtual reality for technology management professionals. VR for HTM is being used to help train the next generation of health care professionals as there is an incumbent need for training the millennial generation that is set to replace the current status quo. Every year, GE trains over 8,000 professionals and saw a huge need for not only training but safety and procedure. VR offered a unique way to integrate cutting-edge technology into its training programs in order to make them more fulfilling and immersive. Other health care facilities can learn from GE in how they are using technology for training important roles in various technical procedures. This further eliminates risk for the end user learning complex surgical procedures and improves learning efficiency as well as overall performance when in the field. An example of this would be wound care management, where doctors and nurses can learn proper procedures for effective application of bandages and dressings. Business leaders can learn from how these Fortune 500s are adopting the technology in meaningful ways as they look to improve their own internal processes. Virtual and augmented reality offer unique ways to eliminate risk, increase organizational value, increase access while improving productivity and reduce overall cost. All these benefits can be realized if immersive technology is adopted properly and used in a meaningful way. • Learn from your employee feedback: Make sure to have multiple iterations of your training programs in place and get feedback from front-line employees in order to optimize training elements so that you can maximize effectiveness. • Stay up to date on the latest hardware: With immersive technology advancing at a blistering rate, it is important for internal IT teams to understand the technology and stay up to date on the latest hardware changes in order to get the most out of it. • Look to implement multi-platform support: Having functionality for VR/AR is great, but you should be looking to have full cross-platform support for both mobile and the web as well. This will give you more accessibility and ease of access to promote training programs more effectively. Overall, virtual and augmented reality training scenarios are only just starting to be realized in the commercial sense. With adoption from key businesses around the world, we can expect to see more enterprise adoption in 2019. Immersive technology offers a unique way to recreate any environment in real time that gives employers a new way to avoid costly and potentially dangerous training scenarios by moving them to a completely digital offering.